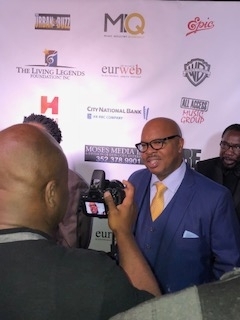 The Living Legends Foundation, Inc. Celebrates It’s 22th Anniversary Gala – October 5, 2018 – The Tagylan Cultural Complex, Hollywood , CA. A great night honoring the real nuts and bolts of the music industry. So many prolific winners graced the stage and amazing performance. 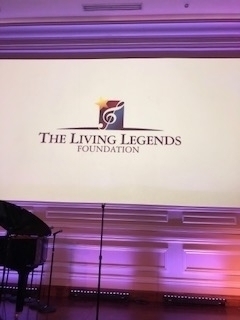 The Living Legends Foundation, INC. recognizes legendary music, radio, and retail industry leaders, who have paved the way for so many in the entertainment industry. 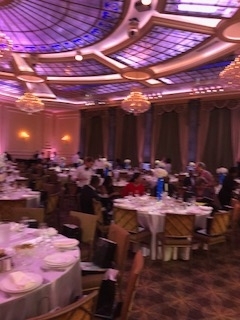 The distinguished honorees include Michael Mauldin, CEO of Mauldin Brand, Inc., who will be presented with the Lifetime Achievement Award; Hurricane Dave Smith, Vice President of Programming and Operations of Radio One Atlanta, will receive the Jerry Boulding Radio Executive Award; Cynthia Johnson, CEO of Aloro Marketing, will be presented with the Music Label Executive Award; Eddie Sims and Belinda Wilson, Partners of Moonridge Entertainment International, will receive the Entrepreneur Award; Denise Brown Henderson, Esq., Principal, will be presented with the first-ever Mike Bernardo Executive Award, which will be given to an outstanding female executive for demonstrating excellence in music and entertainment; and Pat Shields, Partner of Black Dot LLC, will receive the A.D. Washington Chairman’s Award. A special recognition award will be presented to legendary photographer, Bruce Talamon. 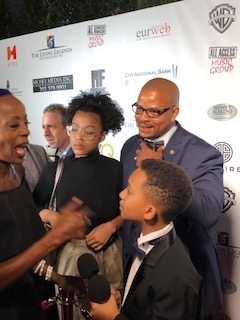 The Living Legends Foundation Honorary Chairperson of the Awards Dinner and Gala is Sylvia Rhone, President of Epic Records; and the Event Chairperson is Azim Rashid, Senior Vice President of Promotion of Roc Nation. The host for the evening is DeDe McGuire of the nationally syndicated radio program, DeDe In The Morning, and entertainment will be provided by Kenny Lattimore. Kenny Lattimore – Grammy Award – nominated recording artist. Eddie Levert, Grammy Award-nominated Recording Artist (The O’Jays). Lenny Williams, Hit Recording Artist. Margo Thunder, Jazz Recording Artist. 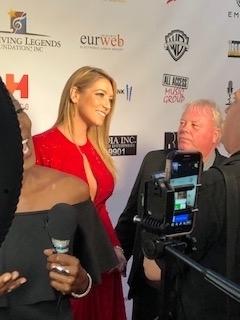 Sylvia Rhone, President of Epic Records (Honorary Chairperson). 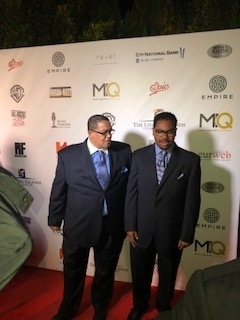 Azim Rashid, SVP of Promotion, RocNation, (Event Chairperson). DeDe McGuire, DeDe in the Morning (Host). Take 6 (David Thomas, Claude McKnight & Alvin Chea). YoYo, Hip Hop Recording Artist. Ro Brooks, Showtime’s Shameless & OWN’s HAHN. Lawrence Hilton Jacobs, Director and Actor. Michael Mauldin, CEO of Mauldin Brand, Inc. (Lifetime Achievement Award). Cynthia Johnson, SVP of Promotion of Columbia Records (Music Label Executive Award). Denise Brown Henderson, Esq., Principal, (Mike Bernardo Executive Award). Pat Shields, Partner of Black Dot LLC, (A.D. Washington Chairman’s Award). Bruce W. Talamon, photographer and author, “Bruce W. Talmon Soul, R&B and Funk Photographs 1972-1982 (Special Recognition). 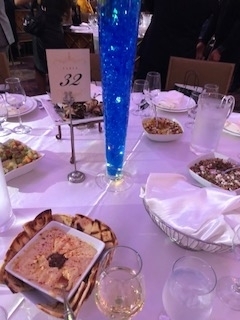 It was a great night filled with delicious food, with a slight Middle Eastern vibe, great wine, and a huge message by all of the honorees. For me the message is hard work always pays off. I pretty much live by that rule. The Living Legends Foundations, INC.
1201 N. Vine Street, Hollywood, CA.